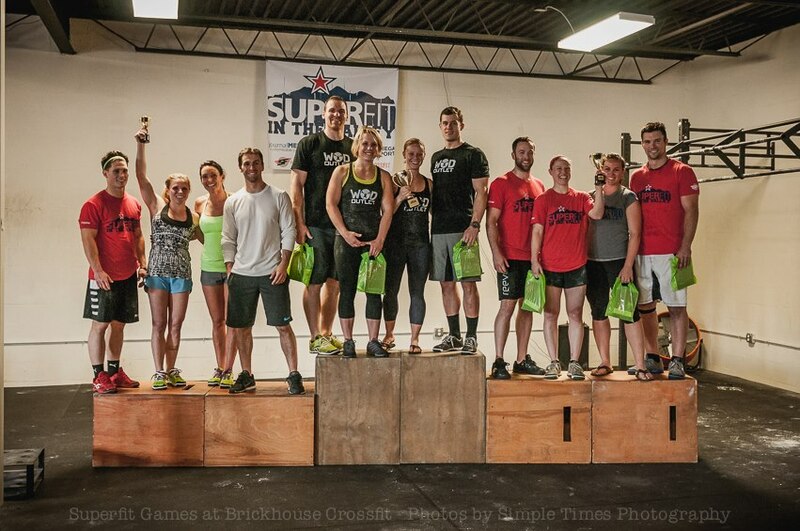 May 4th, 2013 marked the first ever four-person team event the SuperFit Games has held. Hosted by Brickhouse Crossfit in Roanoke, Virginia, teams came from as far south as Greensboro and High Point, NC and as far north as the metro D.C. area. Although smaller than our traditional individual and two-person team events, the four-person format was both successful and provided for a great atmosphere as trophies and prizes were awarded to the top 3 teams in the RX and SCALED divisions. Teams fought it out over 3 brutal workouts including a final chipper that included 100 Thrusters at 135#/95#, 80 C2B Pullups, 60 Box Jumps and 40 Power Cleans at 135#/95#. Team WOD Outlet, winners of the RX division completed an incredible 494 reps during the 15 minute AMRAP. Team work was a must on this day as each workout forced teams to use a great deal of strategy in order to get the most out of each workout.